When the element only contains phrasing content: phrasing content. The target, ping, rel, media, hreflang, and type attributes must be omitted if the href attribute is not present. Interactive user agents should allow users to follow hyperlinks created using the a element. The href, target and ping attributes decide how the link is followed. The rel, media, hreflang, and type attributes may be used to indicate to the user the likely nature of the target resource before the user follows the link. If the DOMActivate event in question is not trusted (i.e. a click() method call was the reason for the event being dispatched), and the a element's target attribute is such that applying the rules for choosing a browsing context given a browsing context name, using the value of the target attribute as the browsing context name, would result in there not being a chosen browsing context, then raise an INVALID_ACCESS_ERR exception and abort these steps. If the DOMActivate event was dispatched as the result of a real pointing-device-triggered click event on the img element, then let x be the distance in CSS pixels from the left edge of the image's left border, if it has one, or the left edge of the image otherwise, to the location of the click, and let y be the distance in CSS pixels from the top edge of the image's top border, if it has one, or the top edge of the image otherwise, to the location of the click. Otherwise, let x and y be zero. Let the hyperlink suffix be a U+003F QUESTION MARK character, the value of x expressed as a base-ten integer using ASCII digits (U+0030 DIGIT ZERO to U+0039 DIGIT NINE), a U+002C COMMA character, and the value of y expressed as a base-ten integer using ASCII digits. Finally, the user agent must follow the hyperlink defined by the a element. If the steps above defined a hyperlink suffix, then take that into account when following the hyperlink. The DOM attributes href, ping, target, rel, media, hreflang, and type, must reflect the respective content attributes of the same name. 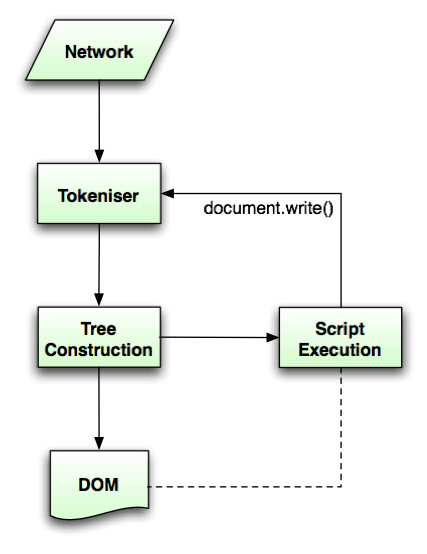 The DOM attribute relList must reflect the rel content attribute. The a element also supports the complement of URL decomposition attributes, protocol, host, port, hostname, pathname, search, and hash. These must follow the rules given for URL decomposition attributes, with the input being the result of resolving the element's href attribute relative to the element, if there is such an attribute and resolving it is successful, or the empty string otherwise; and the common setter action being the same as setting the element's href attribute to the new output value. The small element does not "de-emphasize" or lower the importance of text emphasized by the em element or marked as important with the strong element. A ship is similarly not a work, and the element must not be used to mark up ship names (the i element can be used for that purpose). The q element uses the HTMLQuoteElement interface. Quotation punctuation (such as quotation marks) must not appear immediately before, after, or inside q elements; they will be inserted into the rendering by the user agent. Content inside a q element must be quoted from another source, whose address, if it has one, should be cited in the cite attribute. The source may be fictional, as when quoting characters in a novel or screenplay. Phrasing content, but there must be no descendant dfn elements. In the following fragment, the term "GDO" is first defined in the first paragraph, then used in the second. Abbreviations that are likely to be unfamiliar to the document's readers, for which authors are encouraged to either mark up the abbreviation using a abbr element with a title attribute or include the expansion inline in the text the first time the abbreviation is used. The i element represents a span of text in an alternate voice or mood, or otherwise offset from the normal prose, such as a taxonomic designation, a technical term, an idiomatic phrase from another language, a thought, a ship name, or some other prose whose typical typographic presentation is italicized. Authors are encouraged to use the class attribute on the i element to identify why the element is being used, so that if the style of a particular use (e.g. dream sequences as opposed to taxonomic terms) is to be changed at a later date, the author doesn't have to go through the entire document (or series of related documents) annotating each use. Similarly, authors are encouraged to consider whether other elements might be more applicable than the i element, for instance the em element for marking up stress emphasis, or the dfn element to mark up the defining instance of a term. The b element represents a span of text to be stylistically offset from the normal prose without conveying any extra importance, such as key words in a document abstract, product names in a review, or other spans of text whose typical typographic presentation is boldened. There are two attributes that determine the current task completion represented by the element. The value attribute specifies how much of the task has been completed, and the max attribute specifies how much work the task requires in total. The units are arbitrary and not specified. Instead of using the attributes, authors are recommended to include the current value and the maximum value inline as text inside the element. Author requirements: The max and value attributes, when present, must have values that are valid floating point numbers. The max attribute, if present, must have a value greater than zero. The value attribute, if present, must have a value equal to or greater than zero, and less than or equal to the value of the max attribute, if present, or 1, otherwise. User agent requirements: User agents must parse the max and value attributes' values according to the rules for parsing floating point number values. If the value attribute is omitted, then user agents must also parse the textContent of the progress element in question using the steps for finding one or two numbers of a ratio in a string. These steps will return nothing, one number, one number with a denominator punctuation character, or two numbers. If the max attribute is omitted, and the value is omitted, and the results of parsing the textContent was nothing, then the progress bar is an indeterminate progress bar. Abort these steps. Otherwise, it is a determinate progress bar. If the max attribute is included, then, if a value could be parsed out of it, then the maximum value is that value. Otherwise, if the max attribute is absent but the value attribute is present, or, if the max attribute is present but no value could be parsed from it, then the maximum is 1. Otherwise, if neither attribute is included, then, if the textContent contained one number with an associated denominator punctuation character, then the maximum value is the value associated with that denominator punctuation character; otherwise, if the textContent contained two numbers, the maximum value is the higher of the two values; otherwise, the maximum value is 1. If the value attribute is present on the element and a value could be parsed out of it, that value is the current value of the progress bar. Otherwise, if the attribute is present but no value could be parsed from it, the current value is zero. Otherwise if the value attribute is absent and the max attribute is present, then, if the textContent was parsed and found to contain just one number, with no associated denominator punctuation character, then the current value is that number. Otherwise, if the value attribute is absent and the max attribute is present then the current value is zero. Otherwise, if neither attribute is present, then the current value is the lower of the one or two numbers that were found in the textContent of the element. If the maximum value is less than or equal to zero, then it is reset to 1. If the current value is less than zero, then it is reset to zero. Finally, if the current value is greater than the maximum value, then the current value is reset to the maximum value. UA requirements for showing the progress bar: When representing a progress element to the user, the UA should indicate whether it is a determinate or indeterminate progress bar, and in the former case, should indicate the relative position of the current value relative to the maximum value. The max and value DOM attributes must reflect the respective content attributes of the same name. When the relevant content attributes are absent, the DOM attributes must return zero. The value parsed from the textContent never affects the DOM values. If the progress bar is an indeterminate progress bar, then the position DOM attribute must return −1. Otherwise, it must return the result of dividing the current value by the maximum value. There are six attributes that determine the semantics of the gauge represented by the element. The min attribute specifies the lower bound of the range, and the max attribute specifies the upper bound. The value attribute specifies the value to have the gauge indicate as the "measured" value. The other three attributes can be used to segment the gauge's range into "low", "medium", and "high" parts, and to indicate which part of the gauge is the "optimum" part. The low attribute specifies the range that is considered to be the "low" part, and the high attribute specifies the range that is considered to be the "high" part. The optimum attribute gives the position that is "optimum"; if that is higher than the "high" value then this indicates that the higher the value, the better; if it's lower than the "low" mark then it indicates that lower values are better, and naturally if it is in between then it indicates that neither high nor low values are good. Authoring requirements: The recommended way of giving the value is to include it as contents of the element, either as two numbers (the higher number represents the maximum, the other number the current value, and the minimum is assumed to be zero), or as a percentage or similar (using one of the characters such as "%"), or as a fraction. However, it is also possible to use the attributes to specify these values. If specified, the low, high, and optimum attributes must have values greater than or equal to zero and less than or equal to the bigger of the two numbers in the contents of the element. If both the low and high attributes are specified, then the low attribute's value must be less than or equal to the value of the high attribute. If specified, the low, high, and optimum attributes must have values greater than or equal to zero and less than or equal to the value associated with the denominator punctuation character. If the min attribute attribute is specified, then the minimum is that attribute's value; otherwise, it is 0. If the max attribute attribute is specified, then the maximum is that attribute's value; otherwise, it is 1. If there is exactly one number in the contents of the element, then value is that number; otherwise, value is the value of the value attribute. For the purposes of these requirements, a number is a sequence of characters in the range U+0030 DIGIT ZERO (0) to U+0039 DIGIT NINE (9), optionally including with a single U+002E FULL STOP character (. ), and separated from other numbers by at least one character that isn't any of those; interpreted as a base ten number. The value, min, low, high, max, and optimum attributes, when present, must have values that are valid floating point numbers. If no minimum or maximum is specified, then the range is assumed to be 0..1, and the value thus has to be within that range. There is no explicit way to specify units in the meter element, but the units may be specified in the title attribute in free-form text. User agent requirements: User agents must parse the min, max, value, low, high, and optimum attributes using the rules for parsing floating point number values. If the value attribute has been omitted, the user agent must also process the textContent of the element according to the steps for finding one or two numbers of a ratio in a string. These steps will return nothing, one number, one number with a denominator punctuation character, or two numbers. If the min attribute is specified and a value could be parsed out of it, then the minimum value is that value. Otherwise, the minimum value is zero. If the max attribute is specified and a value could be parsed out of it, the maximum value is that value. Otherwise, if the max attribute is specified but no value could be parsed out of it, or if it was not specified, but either or both of the min or value attributes were specified, then the maximum value is 1. Otherwise, none of the max, min, and value attributes were specified. If the result of processing the textContent of the element was either nothing or just one number with no denominator punctuation character, then the maximum value is 1; if the result was one number but it had an associated denominator punctuation character, then the maximum value is the value associated with that denominator punctuation character; and finally, if there were two numbers parsed out of the textContent, then the maximum is the higher of those two numbers. If the above machinations result in a maximum value less than the minimum value, then the maximum value is actually the same as the minimum value. If the value attribute is specified and a value could be parsed out of it, then that value is the actual value. If the value attribute is not specified but the max attribute is specified and the result of processing the textContent of the element was one number with no associated denominator punctuation character, then that number is the actual value. If neither of the value and max attributes are specified, then, if the result of processing the textContent of the element was one number (with or without an associated denominator punctuation character), then that is the actual value, and if the result of processing the textContent of the element was two numbers, then the actual value is the lower of the two numbers found. Otherwise, if none of the above apply, the actual value is zero. If the above procedure results in an actual value less than the minimum value, then the actual value is actually the same as the minimum value. If, on the other hand, the result is an actual value greater than the maximum value, then the actual value is the maximum value. If the low attribute is specified and a value could be parsed out of it, then the low boundary is that value. Otherwise, the low boundary is the same as the minimum value. If the low boundary is then less than the minimum value, then the low boundary is actually the same as the minimum value. Similarly, if the low boundary is greater than the maximum value, then it is actually the maximum value instead. If the high attribute is specified and a value could be parsed out of it, then the high boundary is that value. Otherwise, the high boundary is the same as the maximum value. If the high boundary is then less than the low boundary, then the high boundary is actually the same as the low boundary. Similarly, if the high boundary is greater than the maximum value, then it is actually the maximum value instead. If the optimum attribute is specified and a value could be parsed out of it, then the optimum point is that value. Otherwise, the optimum point is the midpoint between the minimum value and the maximum value. If the optimum point is then less than the minimum value, then the optimum point is actually the same as the minimum value. Similarly, if the optimum point is greater than the maximum value, then it is actually the maximum value instead. UA requirements for regions of the gauge: If the optimum point is equal to the low boundary or the high boundary, or anywhere in between them, then the region between the low and high boundaries of the gauge must be treated as the optimum region, and the low and high parts, if any, must be treated as suboptimal. Otherwise, if the optimum point is less than the low boundary, then the region between the minimum value and the low boundary must be treated as the optimum region, the region between the low boundary and the high boundary must be treated as a suboptimal region, and the region between the high boundary and the maximum value must be treated as an even less good region. Finally, if the optimum point is higher than the high boundary, then the situation is reversed; the region between the high boundary and the maximum value must be treated as the optimum region, the region between the high boundary and the low boundary must be treated as a suboptimal region, and the remaining region between the low boundary and the minimum value must be treated as an even less good region. UA requirements for showing the gauge: When representing a meter element to the user, the UA should indicate the relative position of the actual value to the minimum and maximum values, and the relationship between the actual value and the three regions of the gauge. User agents may combine the value of the title attribute and the other attributes to provide context-sensitive help or inline text detailing the actual values. ...might cause the user agent to display a gauge with a tooltip saying "Value: 23.2 out of 60." on one line and "seconds" on a second line. The min, max, value, low, high, and optimum DOM attributes must reflect the respective content attributes of the same name. When the relevant content attributes are absent, the DOM attributes must return zero. The value parsed from the textContent never affects the DOM values. This element is intended as a way to encode modern dates and times in a machine-readable way so that user agents can offer to add them to the user's calendar. For example, adding birthday reminders or scheduling events. The datetime attribute, if present, must contain a valid date or time string that identifies the date or time being specified. If the datetime attribute is not present, then the date or time must be specified in the content of the element, such that the element's textContent is a valid date or time string in content, and the date, if any, must be expressed using the Gregorian calendar. If the datetime attribute is present, then the element may be empty, in which case the user agent should convey the attribute's value to the user when rendering the element. The time element is not necessary for encoding dates or times. In the following snippet, the time is encoded using time, so that it can be restyled (e.g. using XBL2) to match local conventions, while the year is not marked up at all, since marking it up would not be particularly useful. The dateTime DOM attribute must reflect the datetime content attribute. If the datetime attribute is present, then use the rules to parse a date or time string with the flag in attribute from the value of that attribute, and let the result be result. Otherwise, use the rules to parse a date or time string with the flag in content from the element's textContent, and let the result be result. If result is empty (because the parsing failed), then the date is unknown, the time is unknown, and the time zone is unknown. Returns a Date object representing the date component of the element's value, at midnight in the UTC time zone. Returns null if there is no date. Returns a Date object representing the time component of the element's value, on 1970-01-01 in the UTC time zone. Returns null if there is no time. Returns a Date object representing the time corresponding to 1970-01-01 00:00 UTC in the time zone given by the element's value. Returns null if there is no time zone. The date DOM attribute must return null if the date is unknown, and otherwise must return the time corresponding to midnight UTC (i.e. the first second) of the given date. The time DOM attribute must return null if the time is unknown, and otherwise must return the time corresponding to the given time of 1970-01-01, with the time zone UTC. The timezone DOM attribute must return null if the time zone is unknown, and otherwise must return the time corresponding to 1970-01-01 00:00 UTC in the given time zone, with the time zone set to UTC (i.e. the time corresponding to 1970-01-01 at 00:00 UTC plus the offset corresponding to the time zone). ...the time element's date attribute would have the value 1,158,969,600,000ms, and the time and timezone attributes would return null. ...the time element's date attribute would have the value 1,159,056,000,000ms, the time attribute would have the value 18,000,000ms, and the timezone attribute would return −25,200,000ms. To obtain the actual time, the three attributes can be added together, obtaining 1,159,048,800,000, which is the specified date and time in UTC. ...the time element's date attribute would have the value null, the time attribute would have the value 28,800,000ms, and the timezone attribute would return null. In this example, each ideograph in the Japanese text 漢字 is annotated with its kanji reading. If the element has the dir attribute set to the exact value ltr, then for the purposes of the bidi algorithm, the user agent must act as if there was a U+202D LEFT-TO-RIGHT OVERRIDE character at the start of the element, and a U+202C POP DIRECTIONAL FORMATTING at the end of the element. If the element has the dir attribute set to the exact value rtl, then for the purposes of the bidi algorithm, the user agent must act as if there was a U+202E RIGHT-TO-LEFT OVERRIDE character at the start of the element, and a U+202C POP DIRECTIONAL FORMATTING at the end of the element. The span element doesn't mean anything on its own, but can be useful when used together with other attributes, e.g. class, lang, or dir. It represents its children. HTML does not have a dedicated mechanism for marking up footnotes. Here are the recommended alternatives. For short inline annotations, the title attribute should be used. In this example, two parts of a dialog are annotated. <dd>Hello! I wish to register a complaint. Hello. Miss? <dd><span title="Colloquial pronunciation of 'What do you'"
<dd>Uh, I'm sorry, I have a cold. I wish to make a complaint. For longer annotations, the a element should be used, pointing to an element later in the document. The convention is that the contents of the link be a number in square brackets. In this example, a footnote in the dialog links to a paragraph below the dialog. The paragraph then reciprocally links back to the dialog, allowing the user to return to the location of the footnote. <dd>You told me you did! For side notes, longer annotations that apply to entire sections of the text rather than just specific words or sentences, the aside element should be used. In this example, a sidebar is given after a dialog, giving some context to the dialog. <dd>I will not buy this record, it is scratched. <dd>No no no, this's'a tobacconist's. Yalt has been publishing incompetently-written phrase books. For figures or tables, footnotes can be included in the relevant legend or caption element, or in surrounding prose. In this example, a table has cells with footnotes that are given in prose. A figure element is used to give a single legend to the combination of the table and its footnotes. The ins and del elements represent edits to the document. The cite attribute may be used to specify the address of a document that explains the change. When that document is long, for instance the minutes of a meeting, authors are encouraged to include a fragment identifier pointing to the specific part of that document that discusses the change. If the cite attribute is present, it must be a valid URL that explains the change. To obtain the corresponding citation link, the value of the attribute must be resolved relative to the element. 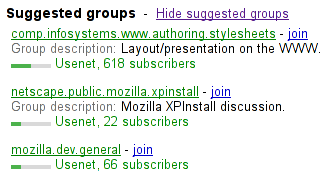 User agents should allow users to follow such citation links. The datetime attribute may be used to specify the time and date of the change. If present, the datetime attribute must be a valid global date and time string value. User agents must parse the datetime attribute according to the parse a global date and time string algorithm. If that doesn't return a time, then the modification has no associated timestamp (the value is non-conforming; it is not a valid global date and time string). Otherwise, the modification is marked as having been made at the given datetime. User agents should use the associated time-zone information to determine which time zone to present the given datetime in. The cite DOM attribute must reflect the element's cite content attribute. The dateTime DOM attribute must reflect the element's datetime content attribute. Since the ins and del elements do not affect paragraphing, it is possible, in some cases where paragraphs are implied (without explicit p elements), for an ins or del element to span both an entire paragraph or other non-phrasing content elements and part of another paragraph. This is a paragraph that was inserted. at the same time as the paragraph above. This is a second sentence, which was there all along. third paragraph in this example. Partly because of the confusion described above, authors are strongly recommended to always mark up all paragraphs with the p element, and to not have any ins or del elements that cross across any implied paragraphs. Either: one legend element followed by flow content. Or: Flow content followed by one legend element. The first legend element child of the element, if any, represents the caption of the figure element's contents. If there is no child legend element, then there is no caption. The remainder of the element's contents, if any, represents the content. The image given by the src attribute is the embedded content, and the value of the alt attribute is the img element's fallback content. The img must not be used as a layout tool. In particular, img elements should not be used to display transparent images, as they rarely convey meaning and rarely add anything useful to the document. Unless the user agent cannot support images, or its support for images has been disabled, or the user agent only fetches elements on demand, or the element's src attribute has a value that is an ignored self-reference, then, when an img is created with a src attribute, and whenever the src attribute is set subsequently, the user agent must resolve the value of that attribute, relative to the element, and if that is successful must then fetch that resource. The src attribute's value is an ignored self-reference if its value is the empty string, and the base URI of the element is the same as the document's address. This, unfortunately, can be used to perform a rudimentary port scan of the user's local network (especially in conjunction with scripting, though scripting isn't actually necessary to carry out such an attack). User agents may implement cross-origin access control policies that mitigate this attack. If the image is in a supported image type and its dimensions are known, then the image is said to be available (this affects exactly what the element represents, as defined below). This can be true even before the image is completely downloaded, if the user agent supports incremental rendering of images; in such cases, each task that is queued by the networking task source while the image is being fetched must update the presentation of the image appropriately. It can also stop being true, e.g. if the user agent finds, after obtaining the image's dimensions, that the image data is actually fatally corrupted. If the image was not fetched (e.g. because the UA's image support is disabled, or because the src attribute's value is an ignored self-reference), or if the conditions in the previous paragraph are not met, then the image is not available. An image might be available in one view but not another. For instance, a Document could be rendered by a screen reader providing a speech synthesis view of the output of a Web browser using the screen media. In this case, the image would be available in the Web browser's screen view, but not available in the screen reader's view. Queue a task to fire a simple event called load at the img element (this happens after complete starts returning true). Queue a task to fire a simple event called error on the img element. If the image is available and the user agent is configured to display that image, then the element represents the image specified by the src attribute. If the image is available, the element represents the image specified by the src attribute. If the image is the child of a figure element that has a child legend element, then the contents of the first such legend element are the caption information; abort these steps. Run the algorithm to create the outline for the document. If the img element did not end up associated with a heading in the outline, or if there are any other images that are lacking an alt attribute and that are associated with the same heading in the outline as the img element in question, then there is no caption information; abort these steps. The caption information is the heading with which the image is associated according to the outline. User agents may always provide the user with the option to display any image, or to prevent any image from being displayed. User agents may also apply image analysis heuristics to help the user make sense of the image when the user is unable to make direct use of the image, e.g. due to a visual disability or because they are using a text terminal with no graphics capabilities. The DOM attributes alt, src, useMap, and isMap each must reflect the respective content attributes of the same name. Returns true if the image has been downloaded, decoded, and found to be valid; otherwise, returns false. The DOM attribute complete must return true if the user agent has fetched the image specified in the src attribute, and it is in a supported image type (i.e. it was decoded without fatal errors), even if the final task queued by the networking task source for the fetching of the image resource has not yet been processed. Otherwise, the attribute must return false. Three constructors are provided for creating HTMLImageElement objects (in addition to the factory methods from DOM Core such as createElement()): Image(), Image(width), and Image(width, height). When invoked as constructors, these must return a new HTMLImageElement object (a new img element). If the width argument is present, the new object's width content attribute must be set to width. If the height argument is also present, the new object's height content attribute must be set to height. In each of the following cases, the same image is used, yet the alt text is different each time. The image is the coat of arms of the Canton Geneva in Switzerland. The requirements for the alt attribute depend on what the image is intended to represent, as described in the following sections. When an a element that is a hyperlink, or a button element, has no textual content but contains one or more images, the alt attributes must contain text that together convey the purpose of the link or button. Text such as "Photo of white house with boarded door" would be equally bad alternative text (though it could be suitable for the title attribute or in the legend element of a figure with this image). In these cases, it would be wrong to include alternative text that consists of just a caption. If a caption is to be included, then either the title attribute can be used, or the figure and legend elements can be used. In the latter case, the image would in fact be a phrase or paragraph with an alternative graphical representation, and would thus require alternative text. However, a decorative image that isn't discussed by the surrounding text still has some relevance can be included in a page using the img element. Such images are decorative, but still form part of the content. In these cases, the alt attribute must be present but its value must be the empty string. Another example of an image that defies full description is a fractal, which, by definition, is infinite in complexity. The img element is in a figure element that contains a legend element that contains content other than inter-element whitespace. The img element is part of the only paragraph directly in its section, and is the only img element without an alt attribute in its section, and its section has an associated heading. In either case, though, it would be better if a detailed description of the important parts of the image obtained from the user and included on the page. Markup generators should generally avoid using the image's own file name as the alternative text. Conformance checkers must report the lack of an alt attribute as an error unless the conditions listed above for images whose contents are not known or they have been configured to assume that the document is an e-mail or document intended for a specific person who is known to be able to view images. Text that conforms to the requirements given in the prose. The src attribute gives the address of a page that the nested browsing context is to contain. The attribute, if present, must be a valid URL. When the browsing context is created, if the attribute is present, the user agent must resolve the value of that attribute, relative to the element, and if that is successful, must then navigate the element's browsing context to the resulting absolute URL, with replacement enabled, and with the iframe element's document's browsing context as the source browsing context. If the user navigates away from this page, the iframe's corresponding WindowProxy object will proxy new Window objects for new Document objects, but the src attribute will not change. Whenever the src attribute is set, the user agent must resolve the value of that attribute, relative to the element, and if that is successful, the nested browsing context must be navigated to the resulting absolute URL, with the iframe element's document's browsing context as the source browsing context. If the src attribute is not set when the element is created, or if its value cannot be resolved, the browsing context will remain at the initial about:blank page. The name attribute, if present, must be a valid browsing context name. The given value is used to name the nested browsing context. When the browsing context is created, if the attribute is present, the browsing context name must be set to the value of this attribute; otherwise, the browsing context name must be set to the empty string. When content loads in an iframe, after any load events are fired within the content itself, the user agent must fire a simple event called load at the iframe element. When content fails to load (e.g. due to a network error), then the user agent must fire a simple event called error at the element instead. When there is an active parser in the iframe, and when anything in the iframe is delaying the load event of the iframe's browsing context's active document, the iframe must delay the load event of its document. The sandbox attribute, when specified, enables a set of extra restrictions on any content hosted by the iframe. Its value must be an unordered set of unique space-separated tokens. The allowed values are allow-same-origin, allow-forms, and allow-scripts. When the attribute is set, the content is treated as being from a unique origin, forms and scripts are disabled, links are prevented from targeting other browsing contexts, and plugins are disabled. The allow-same-origin token allows the content to be treated as being from the same origin instead of forcing it into a unique origin, and the allow-forms and allow-scripts tokens re-enable forms and scripts respectively (though scripts are still prevented from creating popups). This flag prevents content from navigating browsing contexts other than the sandboxed browsing context itself (or browsing contexts further nested inside it). This flag also prevents content from creating new auxiliary browsing contexts, e.g. using the target attribute or the window.open() method. This flag prevents content from instantiating plugins, whether using the embed element, the object element, the applet element, or through navigation of a nested browsing context. This flag forces content into a unique origin for the purposes of the same-origin policy. This flag also prevents script from reading the document.cookie DOM attribute. The allow-same-origin attribute is intended for two cases. Second, it can be used to embed content from a third-party site, sandboxed to prevent that site from opening popup windows, etc, without preventing the embedded page from communicating back to its originating site, using the database APIs to store data, etc. This flag only takes effect when the nested browsing context of the iframe is navigated. If the sandbox attribute is dynamically added after the iframe has loaded a page, scripts already compiled by that page (whether in script elements, or in event handler attributes, or elsewhere) will continue to run. Only new scripts will be prevented from executing by this flag. These flags must not be set unless the conditions listed above define them as being set. In this example, some completely-unknown, potentially hostile, user-provided HTML content is embedded in a page. Because it is sandboxed, it is treated by the user agent as being from a unique origin, despite the content being served from the same site. Thus it is affected by all the normal cross-site restrictions. In addition, the embedded page has scripting disabled, plugins disabled, forms disabled, and it cannot navigate any frames or windows other than itself (or any frames or windows it itself embeds). Note that cookies are still sent to the server in the getusercontent.cgi request, though they are not visible in the document.cookie DOM attribute. In this example, a gadget from another site is embedded. The gadget has scripting and forms enabled, and the origin sandbox restrictions are lifted, allowing the gadget to communicate with its originating server. The sandbox is still useful, however, as it disables plugins and popups, thus reducing the risk of the user being exposed to malware and other annoyances. The user agent must set the seamless browsing context flag to true for that browsing context. This will cause links to open in the parent browsing context. In a CSS-supporting user agent: the user agent must add all the style sheets that apply to the iframe element to the cascade of the active document of the iframe element's nested browsing context, at the appropriate cascade levels, before any style sheets specified by the document itself. In visual media, in a CSS-supporting user agent: the user agent should set the intrinsic width of the iframe to the width that the element would have if it was a non-replaced block-level element with 'width: auto'. In visual media, in a CSS-supporting user agent: the user agent should set the intrinsic height of the iframe to the height of the bounding box around the content rendered in the iframe at its current width (as given in the previous bullet point), as it would be if the scrolling position was such that the top of the viewport for the content rendered in the iframe was aligned with the origin of that content's canvas. In visual media, in a CSS-supporting user agent: the user agent must force the height of the initial containing block of the active document of the nested browsing context of the iframe to zero. This is intended to get around the otherwise circular dependency of percentage dimensions that depend on the height of the containing block, thus affecting the height of the document's bounding box, thus affecting the height of the viewport, thus affecting the size of the initial containing block. In speech media, the user agent should render the nested browsing context without announcing that it is a separate document. User agents should, in general, act as if the active document of the iframe's nested browsing context was part of the document that the iframe is in. For example if the user agent supports listing all the links in a document, links in "seamlessly" nested documents would be included in that list without being significantly distinguished from links in the document itself. If the attribute is not specified, or if the origin conditions listed above are not met, then the user agent should render the nested browsing context in a manner that is clearly distinguishable as a separate browsing context, and the seamless browsing context flag must be set to false for that browsing context. It is important that user agents recheck the above conditions whenever the active document of the nested browsing context of the iframe changes, such that the seamless browsing context flag gets unset if the nested browsing context is navigated to another origin. The attribute can be set or removed dynamically, with the rendering updating in tandem. In this example, the site's navigation is embedded using a client-side include using an iframe. Any links in the iframe will, in new user agents, be automatically opened in the iframe's parent browsing context; for legacy user agents, the site could also include a base element with a target attribute with the value _parent. Similarly, in new user agents the styles of the parent page will be automatically applied to the contents of the frame, but to support legacy user agents authors might wish to include the styles explicitly. The iframe element supports dimension attributes for cases where the embedded content has specific dimensions (e.g. ad units have well-defined dimensions). An iframe element never has fallback content, as it will always create a nested browsing context, regardless of whether the specified initial contents are successfully used. When used in HTML documents, the allowed content model of iframe elements is text, except that invoking the HTML fragment parsing algorithm with the iframe element as the context element and the text contents as the input must result in a list of nodes that are all phrasing content, with no parse errors having occurred, with no script elements being anywhere in the list or as descendants of elements in the list, and with all the elements in the list (including their descendants) being themselves conforming. The iframe element must be empty in XML documents. The HTML parser treats markup inside iframe elements as text. The DOM attributes src, name, sandbox, and seamless must reflect the respective content attributes of the same name. The contentDocument DOM attribute must return the Document object of the active document of the iframe element's nested browsing context. The contentWindow DOM attribute must return the WindowProxy object of the iframe element's nested browsing context. Any other attribute that has no namespace (see prose). Depending on the type of content instantiated by the embed element, the node may also support other interfaces. The embed element represents an integration point for an external (typically non-HTML) application or interactive content. The src attribute gives the address of the resource being embedded. The attribute, if present, must contain a valid URL. The type attribute, if present, gives the MIME type of the plugin to instantiate. The value must be a valid MIME type, optionally with parameters. If both the type attribute and the src attribute are present, then the type attribute must specify the same type as the explicit Content-Type metadata of the resource given by the src attribute. When the element is created with neither a src attribute nor a type attribute, and when attributes are removed such that neither attribute is present on the element anymore, and when the element has a media element ancestor, and when the element has an ancestor object element that is not showing its fallback content, any plugins instantiated for the element must be removed, and the embed element represents nothing. When the sandboxed plugins browsing context flag is set on the browsing context for which the embed element's document is the active document, then the user agent must render the embed element in a manner that conveys that the plugin was disabled. The user agent may offer the user the option to override the sandbox and instantiate the plugin anyway; if the user invokes such an option, the user agent must act as if the sandboxed plugins browsing context flag was not set for the purposes of this element. Plugins are disabled in sandboxed browsing contexts because they might not honor the restrictions imposed by the sandbox (e.g. they might allow scripting even when scripting in the sandbox is disabled). User agents should convey the danger of overriding the sandbox to the user if an option to do so is provided. When the element is created with a src attribute, and whenever the src attribute is subsequently set, and whenever the type attribute is set or removed while the element has a src attribute, if the element is not in a sandboxed browsing context, not a descendant of a media element, and not a descendant of an object element that is not showing its fallback content, the user agent must resolve the value of the attribute, relative to the element, and if that is successful, should fetch the resulting absolute URL. The task that is queued by the networking task source once the resource has been fetched must find and instantiate an appropriate plugin based on the content's type, and hand that plugin the content of the resource, replacing any previously instantiated plugin for the element. Fetching the resource must delay the load event of the element's document. If the element has a type attribute, and that attribute's value is a type that a plugin supports, then the value of the type attribute is the content's type. Otherwise, if the <path> component of the URL of the specified resource (after any redirects) matches a pattern that a plugin supports, then the content's type is the type that that plugin can handle. For example, a plugin might say that it can handle resources with <path> components that end with the four character string ".swf". Otherwise, if the specified resource has explicit Content-Type metadata, then that is the content's type. Otherwise, the content has no type and there can be no appropriate plugin for it. Whether the resource is fetched successfully or not (e.g. whether the response code was a 2xx code or equivalent) must be ignored when determining the resource's type and when handing the resource to the plugin. This allows servers to return data for plugins even with error responses (e.g. HTTP 500 Internal Server Error codes can still contain plugin data). When the element is created with a type attribute and no src attribute, and whenever the type attribute is subsequently set, so long as no src attribute is set, and whenever the src attribute is removed when the element has a type attribute, if the element is not in a sandboxed browsing context, user agents should find and instantiate an appropriate plugin based on the value of the type attribute. Any (namespace-less) attribute may be specified on the embed element, so long as its name is XML-compatible and contains no characters in the range U+0041 .. U+005A (LATIN CAPITAL LETTER A LATIN CAPITAL LETTER Z). The user agent should pass the names and values of all the attributes of the embed element that have no namespace to the plugin used, when it is instantiated. If the plugin instantiated for the embed element supports a scriptable interface, the HTMLEmbedElement object representing the element should expose that interface while the element is instantiated. The embed element supports dimension attributes. The DOM attributes src and type each must reflect the respective content attributes of the same name. Zero or more param elements, then, transparent. Depending on the type of content instantiated by the object element, the node also supports other interfaces. The data attribute, if present, specifies the address of the resource. If present, the attribute must be a valid URL. The type attribute, if present, specifies the type of the resource. If present, the attribute must be a valid MIME type, optionally with parameters. One or both of the data and type attributes must be present. The name attribute, if present, must be a valid browsing context name. The given value is used to name the nested browsing context, if applicable. If the element has an ancestor media element, or has an ancestor object element that is not showing its fallback content, then jump to the last step in the overall set of steps (fallback). If the classid attribute is present, and has a value that isn't the empty string, then: if the user agent can find a plugin suitable according to the value of the classid attribute, and plugins aren't being sandboxed, then that plugin should be used, and the value of the data attribute, if any, should be passed to the plugin. If no suitable plugin can be found, or if the plugin reports an error, jump to the last step in the overall set of steps (fallback). If the type attribute is present and its value is not a type that the user agent supports, and is not a type that the user agent can find a plugin for, then the user agent may jump to the last step in the overall set of steps (fallback) without fetching the content to examine its real type. Resolve the URL specified by the data attribute, relative to the element. If that is successful, fetch the resulting absolute URL. Fetching the resource must delay the load event of the element's document until the task that is queued by the networking task source once the resource has been fetched (defined next) has been run. If the resource is not yet available (e.g. because the resource was not available in the cache, so that loading the resource required making a request over the network), then jump to the last step in the overall set of steps (fallback). The task that is queued by the networking task source once the resource is available must restart this algorithm from this step. Resources can load incrementally; user agents may opt to consider a resource "available" whenever enough data has been obtained to begin processing the resource. If the load failed (e.g. the URL could not be resolved, there was an HTTP 404 error, there was a DNS error), fire a simple event called error at the element, then jump to the last step in the overall set of steps (fallback). Let the resource type be unknown. If the resource has associated Content-Type metadata, then let the resource type be the type specified in the resource's Content-Type metadata. If the resource type is unknown or "application/octet-stream" and there is a type attribute present on the object element, then change the resource type to instead be the type specified in that type attribute. Otherwise, if the resource type is "application/octet-stream" but there is no type attribute on the object element, then change the resource type to be unknown, so that the sniffing rules in the next step are invoked. If the resource type is still unknown, then change the resource type to instead be the sniffed type of the resource. The user agent should use that plugin and pass the content of the resource to that plugin. If the plugin reports an error, then jump to the last step in the overall set of steps (fallback). If the resource type is an XML MIME type, or if the resource type does not start with "image/"
The object element represents the nested browsing context. If the name attribute is present, the browsing context name must be set to the value of this attribute; otherwise, the browsing context name must be set to the empty string. It's possible that the navigation of the browsing context will actually obtain the resource from a different application cache. Even if the resource is then found to have a different type, it is still used as part of a nested browsing context; this algorithm doesn't restart with the new resource. Apply the image sniffing rules to determine the type of the image. The object element represents the specified image. The image is not a nested browsing context. If the image cannot be rendered, e.g. because it is malformed or in an unsupported format, jump to the last step in the overall set of steps (fallback). The given resource type is not supported. Jump to the last step in the overall set of steps (fallback). The element's contents are not part of what the object element represents. Once the resource is completely loaded, queue a task to fire a simple event called load at the element. If the data attribute is absent but the type attribute is present, plugins aren't being sandboxed, and the user agent can find a plugin suitable according to the value of the type attribute, then that plugin should be used. If no suitable plugin can be found, or if the plugin reports an error, jump to the next step (fallback). (Fallback.) The object element represents the element's children, ignoring any leading param element children. This is the element's fallback content. When the algorithm above instantiates a plugin, the user agent should pass the names and values of all the attributes on the element, and all the names and values of parameters given by param elements that are children of the object element, in tree order, to the plugin used. If the plugin supports a scriptable interface, the HTMLObjectElement object representing the element should expose that interface. The object element represents the plugin. The plugin is not a nested browsing context. If the sandboxed plugins browsing context flag is set on the browsing context for which the object element's document is the active document, then the steps above must always act as if they had failed to find a plugin, even if one would otherwise have been used. Due to the algorithm above, the contents of object elements act as fallback content, used only when referenced resources can't be shown (e.g. because it returned a 404 error). This allows multiple object elements to be nested inside each other, targeting multiple user agents with different capabilities, with the user agent picking the first one it supports. Whenever the name attribute is set, if the object element has a nested browsing context, its name must be changed to the new value. If the attribute is removed, if the object element has a browsing context, the browsing context name must be set to the empty string. The usemap attribute, if present while the object element represents an image, can indicate that the object has an associated image map. The attribute must be ignored if the object element doesn't represent an image. The form attribute is used to explicitly associate the object element with its form owner. Constraint validation: object elements are always barred from constraint validation. The object element supports dimension attributes. The DOM attributes data, type, name, and useMap each must reflect the respective content attributes of the same name. The contentDocument DOM attribute must return the Document object of the active document of the object element's nested browsing context, if it has one; otherwise, it must return null. The contentWindow DOM attribute must return the WindowProxy object of the object element's nested browsing context, if it has one; otherwise, it must return null. In this example, an HTML page is embedded in another using the object element. If both attributes are present, and if the parent element of the param is an object element, then the element defines a parameter with the given name/value pair. The DOM attributes name and value must both reflect the respective content attributes of the same name.